A neuroma can cause serious pain, tingling, and numbness in your foot. Sometimes, the pain can make it nearly impossible to walk, so it’s important to reach out to the expert podiatrists at Great Lakes Foot and Ankle Institute PC in Chesterfield, Clinton Township, Fort Gratiot, East China Township, Shelby Township, and Rochester, Michigan. Click the online appointment maker or call the location closest to you to schedule today. These symptoms may occur just in the space where the neuroma exists, but they often spread to the ball of your foot, as well. Often, neuroma symptoms make it painful to walk. Many neuroma sufferers say that neuromas feel like having a small rock lodged in their shoe all the time. Sometimes, a trauma may also develop suddenly, as in the case of a serious foot injury. Neuroma treatment depends on the type of issues you're having. Your Great Lakes Foot and Ankle Institute PC podiatrist may prescribe custom orthotics to tame the pressure on the balls of your feet. You may also need help with the pain, which may include oral or injected medications. If your neuroma doesn't respond to nonsurgical treatments, your podiatrist may perform a minor surgical procedure to help you get long-term relief. How can I prevent neuromas in the future? Neuromas aren't always preventable, but in most cases simply avoiding excessive pressure on your feet can keep you from this frustrating and painful issue. Your podiatrist may also have some extra tips to help you stay neuroma-free in the future. 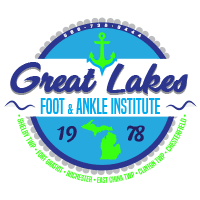 Use the online appointment tool or call now to schedule your visit to the Great Lakes Foot and Ankle Institute PC location closest to you.